Seizures are sudden, temporary changes in physical movement, caused by abnormal electrical impulses in the brain. 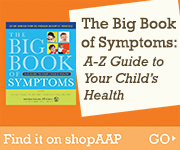 In some instances the affected child's body may ex­perience violent convulsions. Or it may stiffen suddenly, or completely relax. Most seizures are not medical emergen­cies, but the child should be seen by a physician to determine the course of treatment. Your immediate attention should be directed toward protecting your child from injuring himself during the seizure. Lay him on his side with his hips higher than his head, or place him in a semi-sitting position, so that he will not choke if he vomits. If the seizure continues for more than two to three minutes, if it seems unusually severe, or if one attack rapidly follows an­other, call 911 or your local emergency number for help. Do not leave your child unattended.